Cuban-American actress Elena María García plays 24 different Latinas in the solo show. 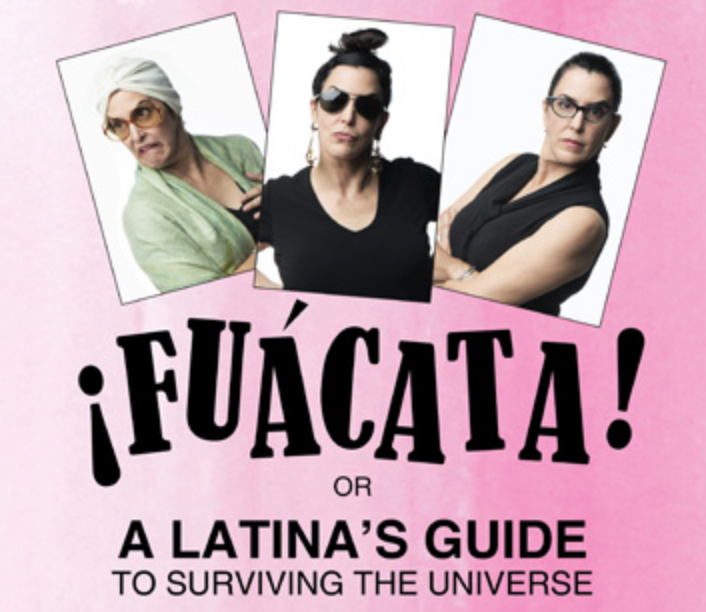 The show deals with many “fuácatas,” or unfortunate events, during a normal day in Miami. It mixes humor, Spanglish and cafecito to highlight South Florida's diverse community and shines the spotlight on the many roles a woman plays and their resiliency. Garcia joined WLRN's Sundial to talk about the play and how she based the characters on her life experiences while growing up in South Florida. After being bullied in grade school, she found a different avenue to express herself: acting. García says this performance is an act of storytelling and encourages the audience to use their imagination. Listen to the full interview with Cuban-American actress Elena María García. WLRN: You play 24 different characters. How do you get into character? García: Physically. I have to find them through a lot of rehearsal. Trying to find these characters physically and go from one to the other and being able to do the detail... I live them. I live them when I speak -- my body automatically goes into them. It's something I've done my whole life. I used to get into a lot of trouble when I copied people and now it's paying off. What is the Latina experience in South Florida, in Miami specifically? It's the hustle. It's the hustle. It's the getting up, always being at your top game and you have to hit everything at 100 percent and if you don't there's that sense of you're not doing your best. But yet we are. We are. There's the Miami Latina but I'm also a Broward Cuban. You grew up in Broward County. Tell us about those differences. What was it like for you as you're growing up? Growing up in Broward, I was truly a minority. We were one of the few Cuban families or Hispanic families in Plantation. There was a huge amount of discrimination, bullying, threats and the whole shebang all through school. Until finally, in high school, my Latin sisters came through and all of a sudden there were other Hispanic names. In South Florida, we have this big mix of really every kind of Latino. What's always interesting is when people who don't know think "oh Latinos are Latino." How do you think we [Latinos] see our differences? We come together when there is an adversary. When there's someone that is against us, then we all come together. But then in other instances, we're against each other. "Don't mix a Mexican with a Cuban." I mean those are fighting words. And I am like "why?" I don't get it. I understand that we are absolutely from different countries, cultures and etc. but if we can just come together and really work...we would be such a powerful force. Especially now. Do you think that things are changing? Do you think that Latinos are coming together in some way? No. I think there is so much more work to that. I think as a community we could be so much stronger, our communication could be much clearer and we could do so much for each other. How does your show bring all of this together and bring all of these [Latino] groups together? Elena Flores (the main character) finds herself fighting and trying to teach her daughter that there's a difference between the two flags: the Puerto Rican flag and the Cuban flag. And in the end, she has a cathartic moment of realization, "No, no, no, we're all together here." One of the characters, Lulu, kind of says to her, "Elena Flores come on now. Why are we all fighting over whose flag is what? We need to all come together and join forces." What do you tell people to expect in how to approach a show like this if they've ever seen one? Use your imagination. Just allow it. I mean, there's no costume changes. There's nothing. That's just me and it's storytelling. It really is storytelling from beginning to end. Just get on the ride and just allow yourself and be open to it. 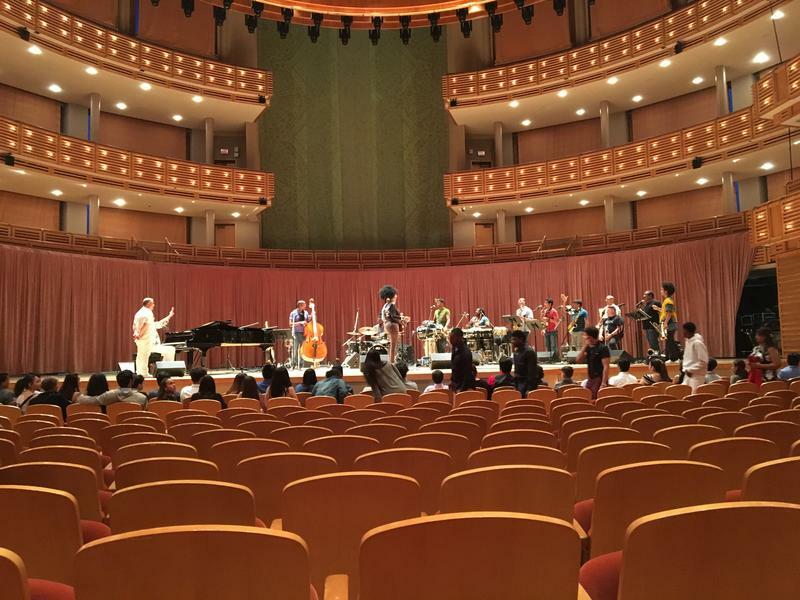 The performance will be at the Adrienne Arsht Center From Aug. 1 to Aug. 19.